We want our apps to contain a richer feature set, more stable, and used by more users. This can cut down the cost of your most important resources: time and money. It would be fortune if someone have already build the solution ready to be used. Hang on, I got something for you. 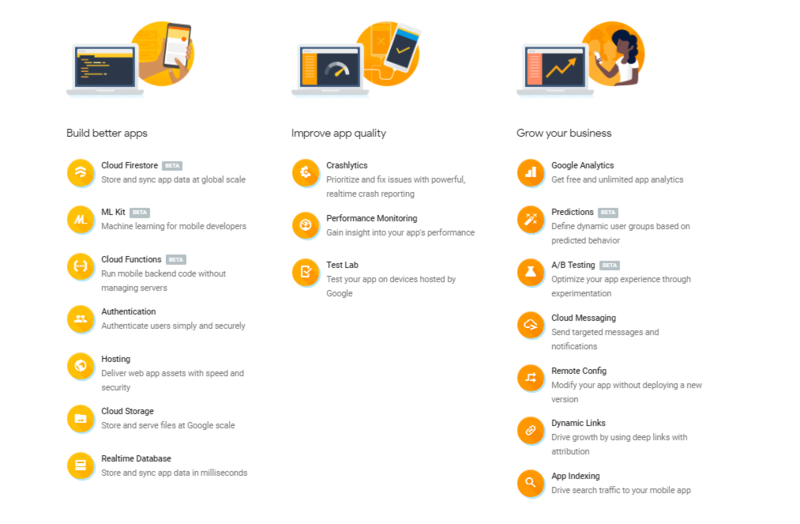 Firebase provides with dozens of different services that cover a lot of areas, including app testing, backend options, different app variants and more. It is a mobile and web application development platform. Re-engage users with their installed apps with this Google Search integration. If users have your app and they search for related content, they could launch it directly from the results. If users don’t have your app yet, an installation card shows up when they search for similar apps. As you can see, Firebase is a great solution for developers, but that’s not everything Firebase has to offer – for more info about their other services, such as AdWords, AdMob and other services targeted at backend developers, visit Firebase’s website.